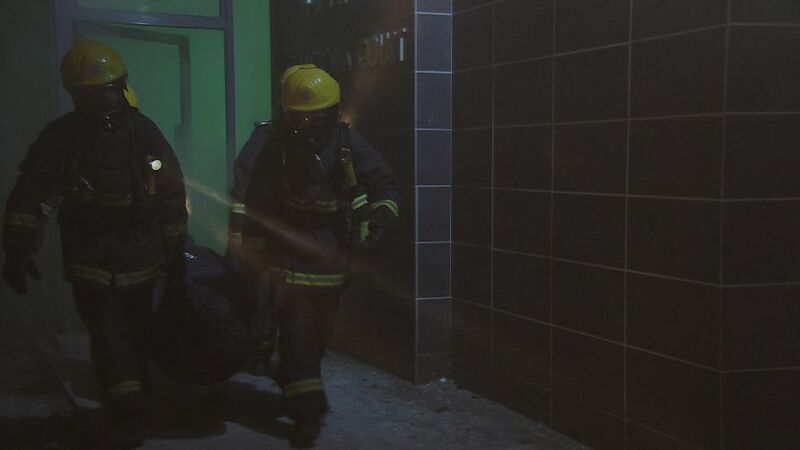 SPOILER alert: Do not read any further if you have yet to watch tonight’s (Thursday) episode of Coronation Street. 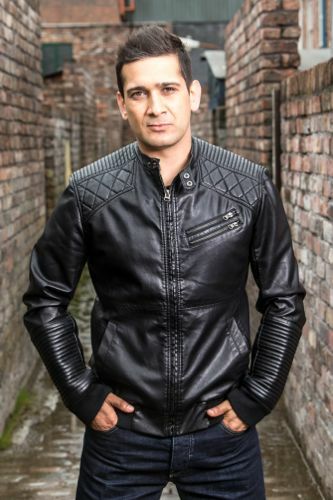 It was no secret that Jimi Mistry was leaving the cobbles. 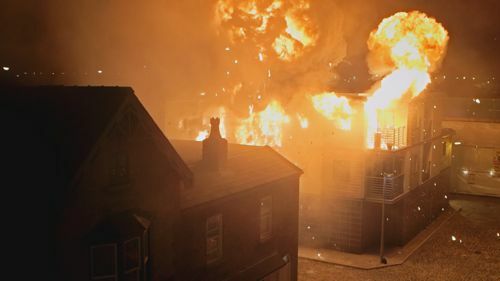 But the death of his character Kal Nazir in tonight’s (Thursday) Coronation Street fire and explosion was kept under wraps until the episode aired on ITV. He was speaking to us at a London press preview screening of this week’s episodes plus Q&A last Friday. Jimi was at the same event but his words – and those of others – were embargoed until now…after tonight’s 9pm episode had broadcast. Both Kym Marsh (Michelle Connor) and Sally Ann Matthews (Jenny Bradley) were also there and admitted to “a few little tears” watching Jimi’s exit on screen. Q: Did you always know you were going to be killed off? Was that your choice? Did you have any say in it? 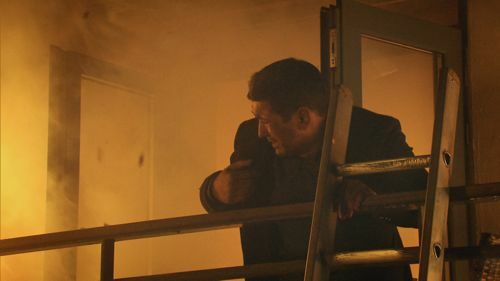 Q: Filming the blaze scenes? 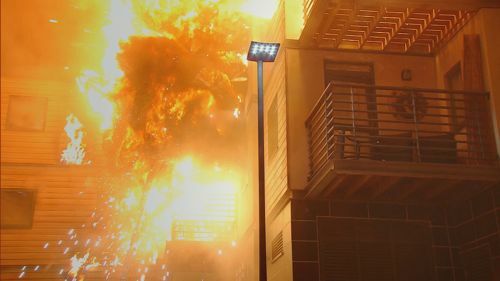 “It was hot. You can look at this and you think, ‘Oh well, it’s clever camera angles, stunt men, all this sort of thing.’ But, believe me, it was real. It was safe. But it was real. We were very close to the fire. It was safe but it was fire. And fire is fire. It was as real as it could be but it was controlled. It really was quite claustrophobic. But, then again, it added to the performance that you were giving. Q: How did you feel when you first read about how you were going to leave? Q: You’ve worked on both EastEnders and Coronation Street. How do you compare the two experiences? 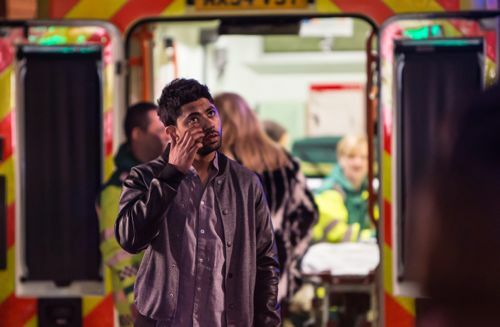 Posted in News and tagged Alya Nazir, Blaze, Cobbles, Coronation Street, David Kester, Dead, Death, Director, Exit, Explosion, ITV, Jane Danson, Jimi Mistry, Kal Nazir, Leanne, Producer, Qasim Akhatar, Shelley King, Stuart Blackburn, Weatherfield, Yasmeen Nazir, Zeedan Nazir. Bookmark the permalink. I’m glad to hear that Zeedan isn’t going to turn into a (more) hateful, spiteful person towards Leanne, continuing to blame her for his father’s horrible death. I hope he will be seen being a big brother to Simon who is going to need it.